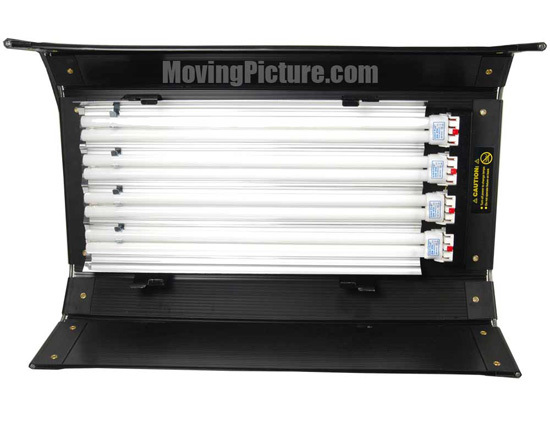 The Diva-Lite 400 is a soft light source ideally suited for Television or Film documentary shooting styles. The unit provides a broad soft and diffuse light. As a cosmetic light source it’s ideal for news presenters reporting from locations around the world. 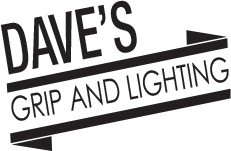 The compact size and rugged lightweight nature makes it well suited for travel. Dimmable and 2-4 bulb selector ballast is built into unit. All-in-one design with built-in Dimming Ballast. Low amperage draw – can plug in to any household outlet. Slim profile ideal for shooting in small offices, hallways, or cramped quarters. Same fixture uses 55Watt compact 5500K (Daylight) and 2900K (Tungsten) lamps. Can mix 5500K and 2900K lamps in fixture for various color temperatures. High color rendering True Match lamps work well alongside conventional quartz lights or HMI’s. Color gels do not burn out or fade due to lower heat of fixture.